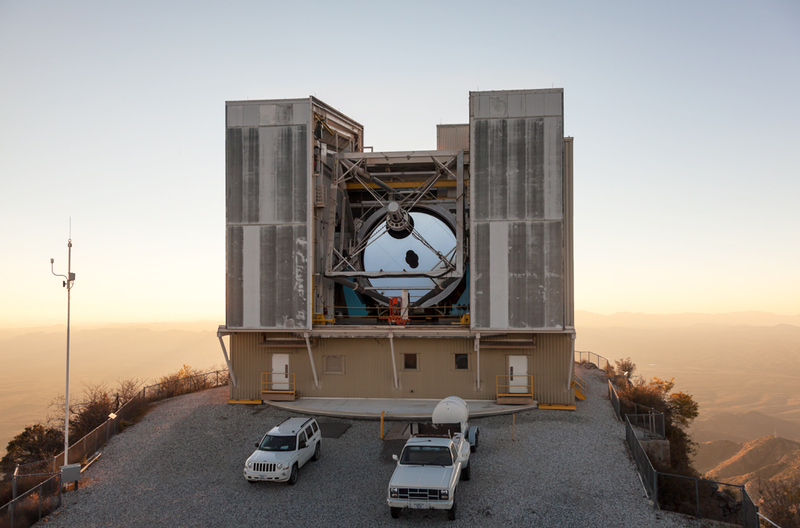 The Multiple Mirror Telescope is situated at the summit of Mt. 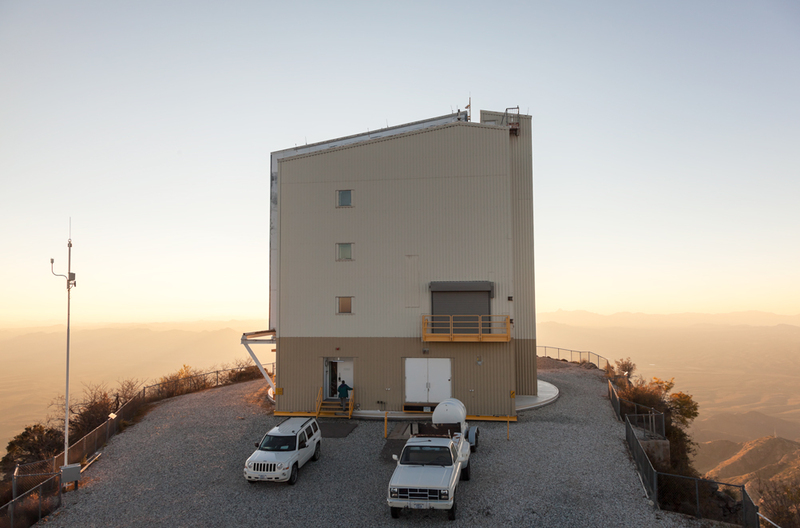 Hopkins, at the Smithsonian’s Whipple Observatory in Arizona. More than 4 stories tall, the building itself rotates on the mountain’s peak. The Diptych below shows the instrument’s rotation and tilt. 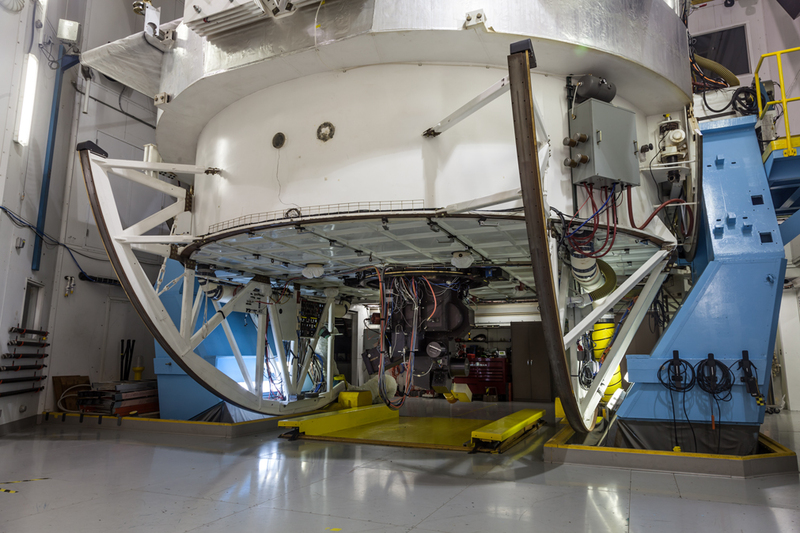 The remaining interior images show the massive infrastructure that undergirds this instrument. The evening these photographs were taken, the researchers in residence were studying the intergalactic medium, the space between galaxies.